Chad Bonin has been growing medical marijuana for more than 20 years. 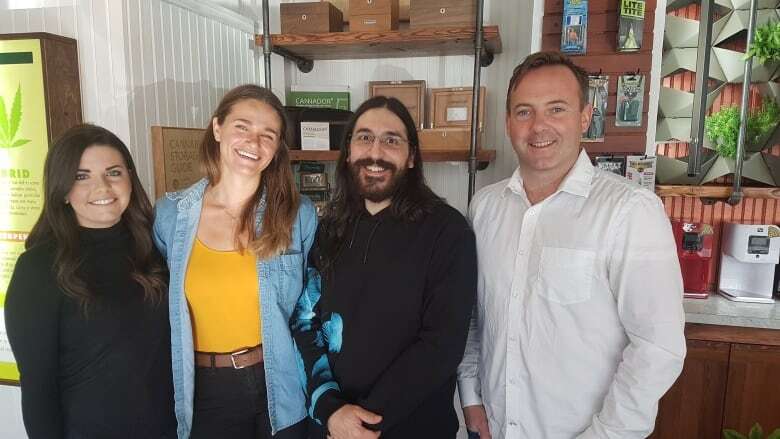 He is the in-house master grower at Regina's The Grow Room, a garden supply shop only for cannabis. 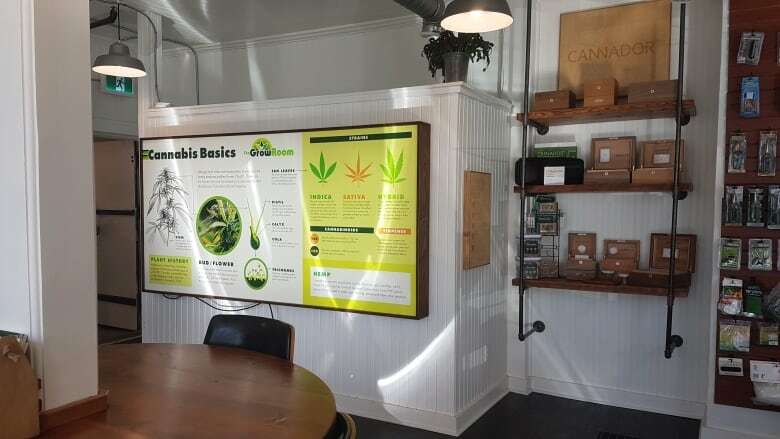 "Basically if you can grow a tomato plant, you can grow a cannabis plant easily," said Mackenzie Bulych, community development and education coordinator at The Grow Room. Bonin and Bulych will be offering classes on how to grow cannabis at The Grow Room. "From that very first step all the way to the end you can make mistakes, but it's really easy and just a little guidance and anyone can do it," said Bonin. There are many options for growing cannabis, from hydroponics to soil. 'Most people will use soil. It's the easiest and most forgiving," said Bonin. You'll also need to tailor your equipment to fit your space. If you choose to grow indoors, which is easiest in Saskatchewan's climate, you'll need a place where there is little light pollution. 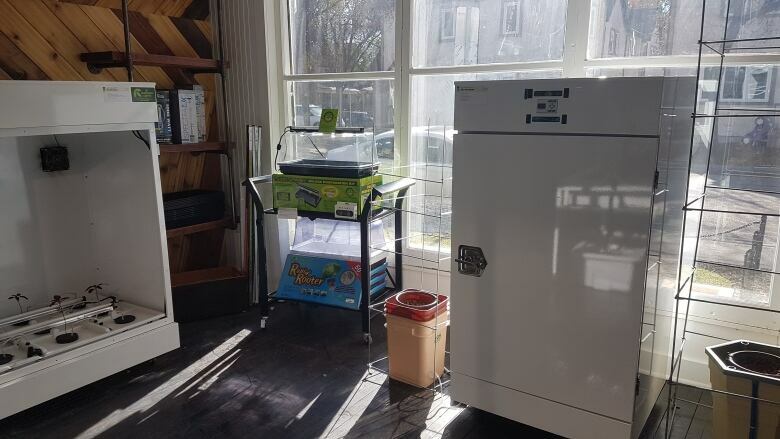 Alternatively, you can purchase a grow tent or a grow closet in order to control light and other factors. Depending on your method, you can spend anywhere from a couple hundred dollars to a few thousand. 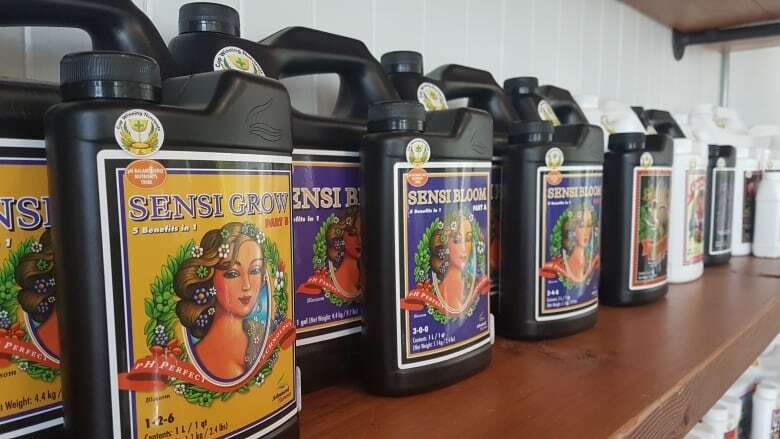 Bonin suggests soluble fertilizers for first-time growers, but organic is also an option. The Grow Room offers a pot that's filled with soil that has been composted for six months. All you have to do is place your seed or seedling into the cup and transfer the plant to a bigger pot once the roots grow. For lights, you have a choice between LEDs or HIDs (High Intensity Discharge). "LEDS are the safest but are expensive," said Bonin. HID are more affordable and have specific bulbs for the vegetative growth and the flowering stage. You'll need to leave your chosen light on for 18 hours and keep it off for six hours. Bonin says the temperature should range between 76 to 80 °F. Once the environment is set up, you can begin to plant. It will take about two to three weeks to vegetate the plant, and depending on the strain the flowering period will vary from six to 14 weeks. Bonin says keeping a plant flowering for more than six weeks takes a lot of practice. You can water it once a day and keep your light on a timer. Once you have your plant and it's flowering, you need to determine when the flower is ready for harvest. Bonin compares it to watching a fruit ripen. "You see it every day and it kind of gets juicer and fatter. You'll be able to tell," said Bonin. Once it's ripe, you cut off the flower at the base and hang it upside down, letting it dry out. Then you trim the leaves off and prepare to cure it. The final stage involves curing the buds. You take a glass jar or a stainless steel container and pack it loosely full of your flowers. Seal the container. The moisture inside the flowers will hydrate the outside. "Basically, you're drying it out in stages. You are sweating it. 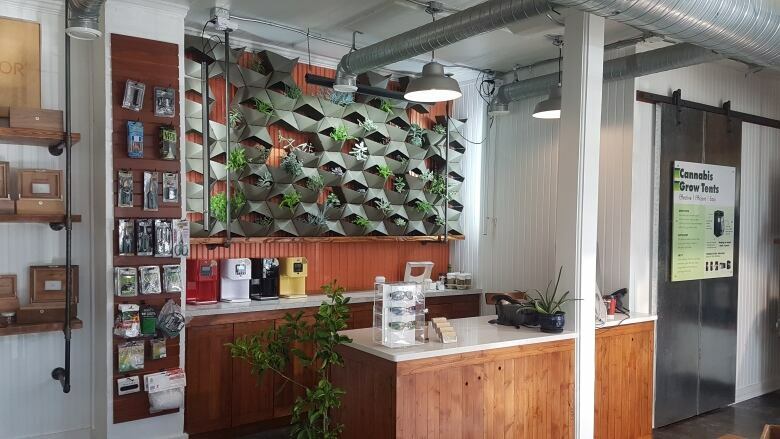 Bringing the moisture from the inside to the outside and letting it breathe," said Bonin. You want to open the container several times per week to let the flowers "breathe" for a few minutes. Your cannabis will be ready after curing for two to three weeks, but going even longer will improve the quality.